Brithenig is spoken in the part of Britain known as Rheon Kemr, the Kingdom of Cambria. The history of the Kingdom began when the Romance-speaking Britons united together under the leadership of the semi-legendary king Eirlan I Emreis (Aurelianus Ambrosius in latin) against the incursions of the Saeson invaders. They halted the advance so successfully that the southern part of the island was divided between the Chomro, who speak Brithenig, and the Saeson, who speak English. One consequence was that the pre-Roman Celtic language went into a decline from which it never recovered. The border between Kemr and Saesoin begins at the Avon in the south, crosses Salisbury Plain, skirts around the Cotswolds to leave the Thames valley in Saesoin and runs up the Pennine Mountains to the River Ribble. The centre of the Kemrese kingdom is in the Severn Valley. The border disputes between the Chomro and the Saeson lasted for several centuries until they agreed to ally together against the threat of Viking raids which threatened both kingdoms. After the Viking period they continued to remain on amicable terms. After the Norman Conquest many Saesonig nobles preferred to take refuge at the Kemrese court than remain in Saesoin. The new Norman overlords were as unsuccessful in their assaults on Kemr as the Saeson had been, but culturally many institutions in Kemr emulate those that were established in Saesoin by the Normans. By tacit agreement the Normans fought the French while the Chomro expanded into Ireland. Modern Kemr is a constitutional monarchy. The reigning monarch is King Pedr V ffeil Padern, who succeded his grandfather, King Gereint XIII ffeil Padern, on his death in 2004. In Brithenig King Pedr is referred to as ill Terruin. Literally this means 'pertaining to the land or the earth', but as a title it means 'the overlord, or high king, of the land'. The Chomro reserve this title for the King of Kemr, distinguishing their monarch from llo rhui halltr, the other kings, the surviving petty kings of Kemr, and the other heads of state in Britain, and abroad. The succession to the throne in Kemr is governed by Salic Law, a tradition observed in some monarchies that precludes female descendents from inheriting the throne. The title of the crown prince is Dug' Kemr, the Duke of Cambria. The Kemrese government is a bicameral parliamentary democracy. The Prime Minister, ill Toisag is a member of the lower house. Kemr is divided up into provinces, based on historic boundaries, each administrated by a provincial council headed by ill Rheithur, 'the governor of a province'. The aristocracy still exists, an exhausted force in modern democratic Kemr, no longer having authomatic representation to the upper house of the Kemrese parliament anymore. Many lords are still addressed as illystr, 'most honourable.' The traditional extended family, once the basis of Kemrese social law, has taken a beating in the last two hundred years. But in some areas the selection of ill cabient, 'the chief of the kindred', still endures. The right of representation to ill centref, the hundred-town assembly, has been lost, but the cabient still has ceremonial and social prestige. Roman and Celtic customary legal systems form the base of Kemrese law. Modern Kemr is more a common-law than a civil-law country. 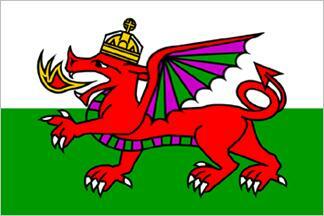 Internationally Kemr is part of the Federated Kingdoms of England, Scotland and Cambria. The Kemrese parliament sends representatives to attend the English and Scottish parliaments as full voting members, as well as receiving them from the other two legislatures. Moreover King Pedr and the monarch of England and Scotland maintain a tradition of exchanging Privy Councillors. As in the eyes of the law the Cabinet is a committee of the Privy Council, there are invariably Cabinet members in each Kingdom who are M.P.s from the other Kingdoms. A detailed system of Committees of Correspondence maintain uniformity in matters of external defense, and formerly in matters of the overseas possessions as well. On issues of religion the Christian church in Kemr remained autonomous from the Catholic tradition introduced from Europe. The political dominance of Kemr and Mercia meant no Synod of Whitby caused their princes to submit to the successors of Saint Peter until much later in their history. The organisation of the established church was monastic and tended to be otherworldly. While it profited from the patronage of the monarchy the church maintained the right to criticise the abuses of the status quo when its leaders possessed the strength of will to do so. During the twelfth century the Catholic church successfully sought to bring the independent Kemrese church under the doctrinal authority of Rome. The spiritual head of the Cambriese Rite is the Patriarchal Abbot of Glastonbury. The Protestant Reformation created a significant disestablished minority in the British Isles, enough that religious wars were fought there, but not enough to disturb the pre-eminence of Catholicism. Kemr quickly made advantage of its position in Europe during the colonization of the new world and the age of the great empires. Brithenig speaking communities can still be found overseas. Within Kemr, Brithenig has an alternative name, Comroig, the language of the Chomro. A Comro is someone whose native language is Brithenig, a name derived from a old Celtic word meaning 'fellow-countryman', as opposed to the Saeson invaders from the east who were seen as interlopers. In contrast the word Kemrese in Brithenig describes someone or something from Kemr including the English-speaking minority who live there.